This book offers an upper-level introduction to the Christian doctrine of the Church. 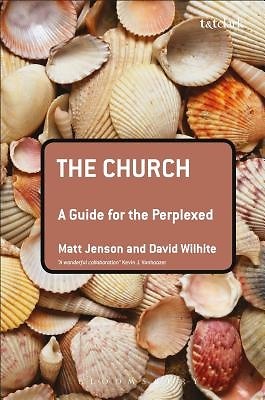 This book is a rigorous comprehensive introduction to the doctrine of the Church by taking the tack of walking readers through the internal logic of ecclesiology. Rather than simply offering a compendium of perspectives on each issue that arises, the authors seek to teach and model thinking theologically, with the grain of scripture and ecclesial reflection, about the Church. The chapters are peppered with two to three excurses per chapter which consider a particularly pertinent issue that arises from the doctrine's development (e.g. the move from Jesus to the Church, schism and the rise of denominations, sacramental mediation) or contemporary concerns (e.g. the question of other religions, contemporary ecumenical questions, the emerging church). While the overall tone and content of the book articulate and invite discussion on the problematics of ecclesiology, these excurses will provide ample opportunity to examine and (where appropriate) untangle ecclesiological knots. Continuum's Guides for the Perplexed are clear, concise and accessible introductions to thinkers, writers and subjects that students and readers can find especially challenging - or indeed downright bewildering. Concentrating specifically on what it is that makes the subject difficult to grasp, these books explain and explore key themes and ideas, guiding the reader towards a thorough understanding of demanding material.